Kate has over 20 years teaching experience across all Key Stages, teaching children ranging from ‘A’ level to Primary age. She qualified with a BA (Hons) and a PGCE from Leeds University in 1995 Kate achieved NPQSL in 2016 from Anglia Ruskin University. 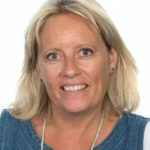 Over the years, Kate has worked in a variety of teaching roles such as MFL Coordinator, PSHE Lead, Online Safety Lead, Pastoral Lead, Designated Safeguarding Lead, Assistant Headteacher and Deputy Headteacher. Kate has a wealth of knowledge and experience in a wide variety of issues which affect young people. She has worked extensively throughout her career enabling pupils to overcome potential barriers to their learning. With a particular interest in supporting young people with both their mental and physical wellbeing, Kate is delighted to be taking up the position as Lead Teacher at the Ipswich NHS Trust, here she can continue supporting children with their education whilst they are in hospital. It is Kate’s vision that the school room setting continues to be an oasis of calm for pupil’s to be able to continue their studies whilst they are going through their medical difficulties.